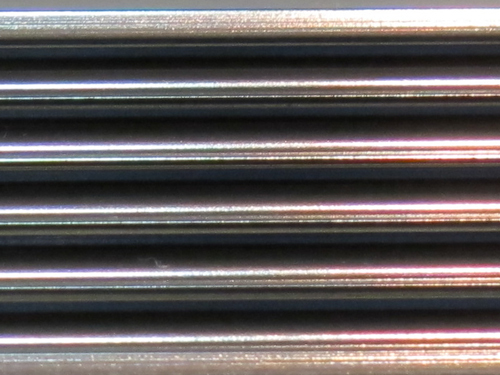 All metal bandings pictured below are in stock and will ship within 7 business days. Now that you’ve picked out your retro laminate for your project, it’s time to choose from our line of real metal bandings. This page is devoted to our table and counter edging. All are custom made for us and provides that real retro look you want. Take advantage of our custom shop and let us build your table, bar top, or kitchen countertop in any of these great styles. For those of you who are tackling a countertop or bar top on your own, be sure to check out our trim bandings which might also be needed to complete your project. All banding is sold in 12 foot lengths. A 1/16 inch slot cutter is required if you are installing this banding yourself. 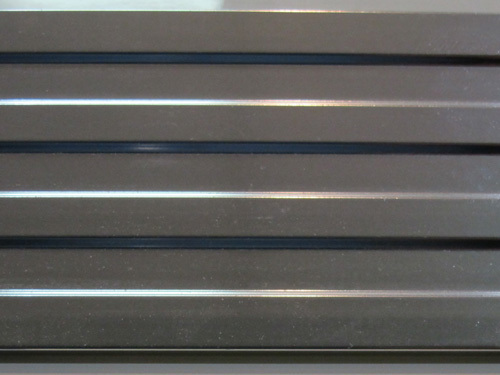 This small .75″ metal banding is sometimes required when your substrate is thinner than the standard, or if you need to ensure that there is no overhang on the countertop to get in the way of being able to pull out your drawers. Excellent choice for kitchen countertops. 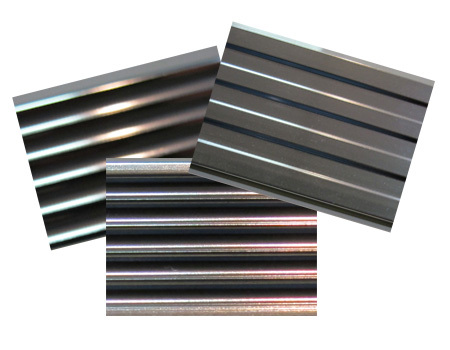 Our 1.25″ metal banding is sold in 12 foot strips and is used to cover the edge of tables and countertops. This is not plastic but real metal! It will bend around most corners and will give your table or counter the perfect retro look. This selection is another perfect choice for kitchen countertops. Our 1.5″ metal banding is sold in 12 foot strips and is used to cover the edge of tables and counter tops This is not plastic but real metal! It will bend around most corners and will give your table or counter the perfect retro look. This size is the one most often selected for kitchen countertops. GOLD 1.5″ (RIBBED) DISCONTINUED – SORRY! Our 1.5″ metal banding is sold in 12 foot strips and is used to cover the edge of tables and counter tops This is not plastic but real metal! It will bend around most corners and will give your table or counter the perfect retro look. 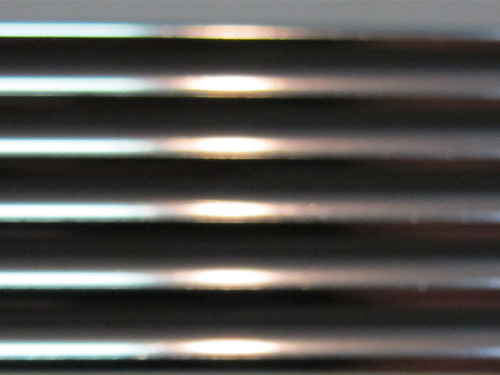 Shown is our 2.25″ metal banding…Sold in 12 foot strips and perfect table or counter top project! Please note…this is not plastic, but real metal. It will bend around most corners and really gives a table or counter that desired retro look. This design is even more striking when it is accented with custom pinstriping to match your table or countertop.